Editor’s note: This blog post originally appeared on the Colorado Red Cross blog. Story by Autumn Velez & photos provided by George Autobee. Imagine being eighteen years old – you have just finished your initial military training in the United States Marine Corps, and you are now being shipped off to a foreign country. Upon your arrival you are greeted by two Marines who are just finishing up their tour. These Marines looked as though they have seen things no human should have to see. For George Autobee, this was his real life. 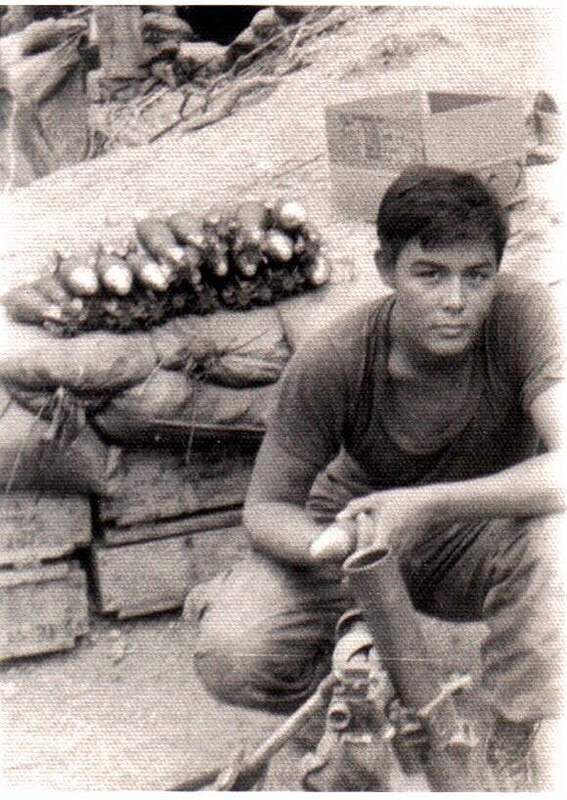 On June 21, 1968, George, arrived in Da Nang, Vietnam where he was attached to the 2nd platoon, Mike Company, 3rd Battalion, 5th Marine Regiment, 1st Marine Division specializing in 60mm mortars and as a Rifleman. Soon after his arrival, George learned Mike Company was also known as Med-Evac (medical evacuation) Mike because of the high casualty rate within the company. George soon learned the reality of being part of “Med- Evac Mike Company”. Two and a half months after his arrival to Vietnam, George was wounded in his arm during an initial engagement on Hill 310 when he was acting as the point man. This left him wounded and without a weapon. As mortar rounds came in, he was forced to leave the area and find the medical evacuation helicopter to Da Nang NSA. Once he arrived to the hospital late that evening, he was taken straight into surgery. While recovering in the hospital, George was approached by an American Red Cross volunteer named Miss Jane Gordon. Miss Gordon offered to help George write a letter home since he was unable to write due to the injury he sustained from being shot. The letter Miss Gorden helped write and send home for George. After all of these years, Miss Gordon’s decision to volunteer during wartime has stuck with George. George Autobee receiving the Purple Heart Medal. Shortly after being treated for his wound, George was awarded the Purple Heart and later a Gold Star. Upon his return to the United States on May 15, 1969, George decided to separate from the Marine Corp and went on to pursue an undergraduate degree at Southern Colorado State College (now Colorado State University- Pueblo) and then a master’s degree from the University of Northern Colorado. In 1980, he returned to the military as part of the United States Army Reserves where he was commissioned and became a medic. To this day, George continues to give back to the American Red Cross by making donations as his way of thanking the organization that was there in his time of need. The Service to Armed Forces program of the American Red Cross has a long history of support for our troops. Whether it is in peace time or in war our staff and volunteers are an important part of any military service. You can be part of this effort to support our troops as a volunteer or as a financial donor by going online to redcross.org. If you would like to learn more about the Red Cross Service to Armed Forces program to see where you might join in, visit redcross.org/SAF. You might want to double check on whether Jane Gordon was actually a volunteer. I was a Red Cross recreation worker (Donut Dolly) in Vietnam, and I’m pretty sure there were only paid workers there, no volunteers. Not to diminish her role in any way, just to be accurate.